Among jazz fans, you can have a lot of fun arguing whether “European Jazz” is a useful counterpoint to the American tradition, an original supplement thereto or “is worth less than American jazz on the market” as it can be read in a Wikipedia forum. There is no doubt that there have been and are gifted musicians this side of the Atlantic, who have molded and formed jazz for decades. They have developed very unique playing styles by merging European music traditions with American influences. To give these pioneers of European jazz a stage was the idea for the series of articles “European Jazz Legends”, which has been launched in the magazine Jazz thing in their 100th issue in September 2013. We can now look back on 19 issues. The symbolic stage has now become a real one, and it is in Gutersloh in the middle of Europe. Accompanying each edition of the magazine appearing five times a year, a concert planned especially for this occasion is being organized in cooperation with the label Intuition, the city of Gütersloh and Westdeutscher Rundfunk Köln with current protagonists of the series, hosted by our author Götz Bühler. Each concert including an interview with the artist will be broadcast by Westdeutscher Rundfunk (WDR 3) at a later time, and the musical highlights of the concert will be released on a CD. In other words, five concerts and five CDs in the series “European Jazz Legends” are planned for each year in the future, until end of 2017. In addition, a book will be published, in 2018, for which the article from the magazine will be revised and supplemented, among other things, to provide impressions from the concerts and discussions. 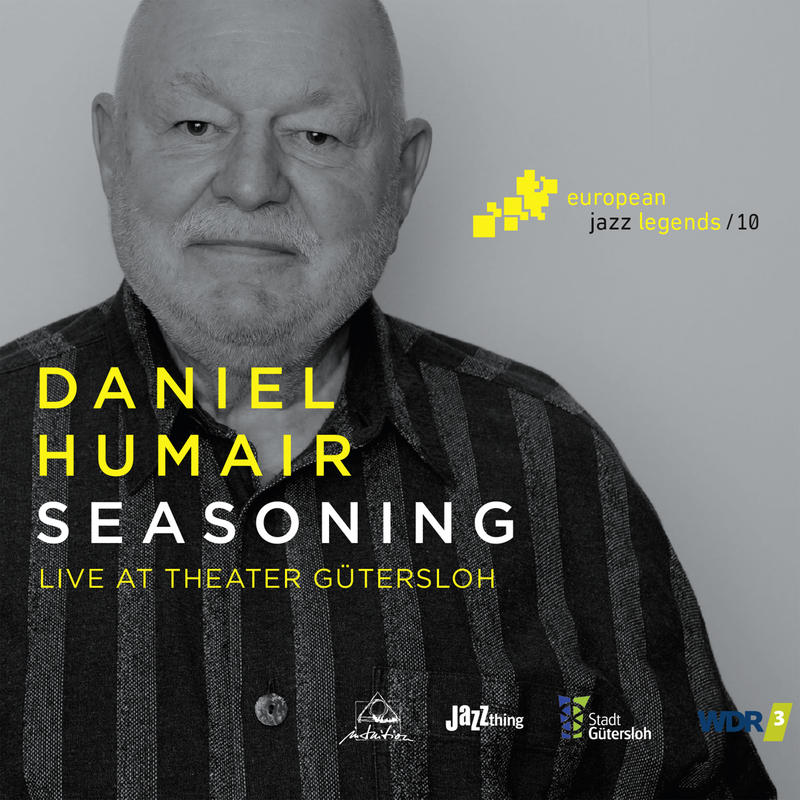 The CD of Günter “Baby” Sommer is the tenth publication in the “European Jazz Legends” series. We from Intuition Records are very proud of this and would like to thank all partners and especially the musicians – and hope that you enjoy this series. "Although Humair wrote many of the pieces and compiled the setlist, he does not dominate at all." "What a beautiful idea this series "live" in what appears that it's more and more impossible to dodge the jazz in Germany."